Marjo-Riitta Järvelin, MD, MSc, PhD, FFPM, is Professor and Chair in Lifecourse Epidemiology at Imperial College London (IC), UK, also holding a visiting professorship at Brunel University London, UK and a part-time professorship at the University of Oulu, Finland. She has been running large-scale population-based studies for over 25 years, working on the genetic and early life environmental origins of multi-factorial diseases and disorders. She is a Scientific Director of the Northern Finland Birth Cohort (NFBC) research program and has an active role in research training as Director of Postgraduate Studies at School of Public Health, IC. Professor Järvelin has published over 700 original papers. She has been nominated on several prestigious visiting and collaboration awards, has received an award of Excellence in Genetic Epidemiology at Imperial College London, been honoured by the title, Epidemiologist of the Year in Finland and invited to join the Finnish Academy of Sciences. Mircea Onofriescu is a Professor at the University of Medicine and Pharmacy "Gr.T. Popa", Iasi and Head of Department Obstetrics and Gynecology, Hospital “Cuza-Vodă”, Iasi. He has an MD, PhD in Obstetrics and Gynecology, Gestational Diabetes and Maternal-Fetal Influences. Ability in Materno-Fetal Medicine, Ultrasonography in Obstetrics and Gynecology, Hysteroscopy, Laparoscopy in Gynecology, In Vitro Fertilization. He is the President of the Romanian Society Obstetrics and Gynecology and the Romanian Society Reproductive Medicine. He is a Member of 10 international scientific associations and 12 Romanian scientific associations. He has experience in clinical trials, which include two international studies and six national grants. He has published 15 books as an Author and Co-Author. Maria-Luz Fernandez is a Professor in the Department of Nutritional Sciences at the University of Connecticut. She is a leading authority on the effects of dietary interventions on dyslipidemias, oxidative stress and inflammation as it relates to cardiovascular disease, metabolic syndrome and type-2 diabetes. She uses the guinea pig model to elucidate the mechanisms by which different types of fat, dietary fiber, carbohydrate restricted diets and antioxidants reduce the risk for hepatic steatosis, systemic inflammation and atherosclerosis. Her research has been supported by the Federal Government, Industry and Food Commodities. She has co-authored 235 peer-reviewed papers, 13 book chapters plus over 240 scientific abstracts. She has been invited to present her research in Argentina, Brazil, Canada, Colombia, Egypt, Ecuador, Korea, Mexico, Panama, Peru, Portugal, Spain, Saudi Arabia and United Arab Emirates. She has graduated 34 PhD and 19 Master’s students who currently have prominent positions in Industry and Academia. Effects of dietary interventions on dyslipidemias, oxidative stress and inflammation as it relates to cardiovascular disease, metabolic syndrome and type-2 diabetes. Director of the Territorial Nephrology Department – Cagliari Italy from 20 years. Main veiw researches: new and advanced dialytic techniques; prevention of Chronic Renal diseases by nutritional and pre-dialysis teams. spending review of methodologies and pharmaco economy. From 1998 I was using and improving combined nutritional and tailored dialysis; guidelines of water for dialysis, peritoneal dialysis. Reviewer of international journals: Kidney International, Nephron, Nephrology Dialysis and Transplantation, Journal of Nephrology, American Journal of Kidney Disease, Artificial Organs, BMC Nephrology ; Member of Editorial Boarding of Giornale Italiano di Nefrologia, Journal of Nephrology, Minerva Urologica e Nefrologica, Clinical Nephrology.International Journal of Artificial Organs. Member of Italian Society of Nephrology from 1980. Author / co-author of 374 scientific publications and abstracts of Nephrology 68 on med-line. New and advanced dialytic techniques; prevention of Chronic Renal diseases by nutritional and pre-dialysis teams. spending review of methodologies and pharmaco economy. F. Javier Señoráns is Doctor of Science and has developed its research and teaching career in the field of Science and Food Technology for more than 25 years in different Spanish research centers and the University of Uppsala in Sweden, and since twelve years is Professor in Food Technology of the Autonomous University of Madrid.Currently, Professor Señoráns heads a research group in Food Science of the UAM, specializing in clean extraction processes for new bioactive ingredients and functional food production and healthy lipid modification and design. He is director of projects and research contracts on natural extracts using clean and synthesis of structured lipids and coauthor of more than one hundred international scientific papers technologies. Dr. Minich earned her BA in biology at Augustana University, her MS in human nutrition and dietetics at University of Illinois – Chicago and her PhD at the University of Groningen (Netherlands), where her dissertation topic was Essential Fatty Acid Absorption and Metabolism. She is a fellow of the American College of Nutrition, an Institute for Functional Medicine Certified Practitioner (IFMCP), a Certified Nutrition Specialist, a Certified Nutritionist (Washington State Department of Health) and a registered yoga teacher (Yoga Alliance). Dr. Minich has wide-ranging experience in nutritional science, industry and education, having served as a senior research scientist for General Mills, product formulator and clinical research scientist for Cooke Pharma, vice president for scientific affairs at Metagenics, technical and creative curriculum consultant at the Institute for Functional Medicine, and clinical nutritionist at MetaProteomics, Inc. Functional Medicine Research Center (FMRC). She is a member of the Institute for Functional Medicine Nutrition Board, The American Society of Nutrition Science, the American College of Nutrition and the American Association of Diabetes Educators. Dr. Minich is also the developer of The Detox Summit. Teruyoshi Amagai has completed his MD and PhD from University of Tsukuba, Japan and Clinical Practice from the Birmingham Children’s Hospital in UK during 1993 and 1994. He is the Professor of Mukogawa Women’s University since 2007 and has been In-charge of drawing up member, “Dietary Reference Intakes for Japanese (2015), developed by the Ministry of Health Labor and Welfare, Japanese Government. He is the Editorial Member, Nutrition in Clinical Practice, academic journal of American Society for Parent and Enteral Nutrition (ASPEN). N Arlappa has completed his MD in Community Medicine from NTR University of Medical Sciences, India. He has been working as Nutrition Scientist in the Division of Community Studies, National Institute of Nutrition (NIN), Indian Council of Medical Research, Hyderabad, India, since 1997. He has 18 years research of experience in the field of Public Health Nutrition and published more than 50 scientific papers in peer-reviewed national and international journals. He has also published 4 book chapters, completed more than 40 research studies and published more than 250 technical reports. He has attended and presented more than 25 scientific papers in national and international conferences/workshops. He is the Faculty Member for the Courses of MPH (NIE), MSc (Nutrition) and PG Certificate course in Applied Nutrition at NIN and currently working as a Deputy Director. Prof. Louay Labban has completed his PhD from La Sale University in the USA in 1995 and postdoctoral studies from Lund University in Sweden. He has been a professor of clinical nutrition at A’Sharqiyah University in the Sultanate of Oman since 2014. Before, he taught nutrition courses in different universities in Syria and in the USA and he also worked for well-known pharmaceutical companies studying the drug-nutrient interaction and the effect of newly developed medications on the nutritional status of patients. He has published more than 35 papers in reputed journals and has been serving as an editorial board member of scientific journals. 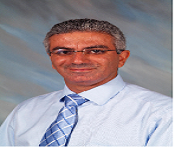 Professor Labban is affiliated with American Diabetes Association and American Overseas Dietetic Association ( AODA). Dr.Parashram Patil is a social scientist who works as a research consultant to Gokhale Institute of Economis and Political science since 2016 and is an approved Ph.D. research guide at ICFAI University. Being an avid researcher with specialisation in economics and finance his research areas have been: Indian prospects of Cashew Business. Forest Accounting Ecological Sustainability Dr. Parashram has completed his Ph.D in Finance from Shivaji University and is now pursuing his post doctoral research from Pune University. Before devoting his full time for Post doctoral research, he has worked as Project advisor/consultant for a solar company and as an Assistant Professor for Symbiosis International University and Shivaji University. Dr. Parashram is an All India Topper in U.G.C. Dr. S. Radhakrishan Post Doctorate Fellowship and has been awarded Young Researcher Award, MTC Global Excellence Award and Best Citizens of India Award. He has landed coverage in print and broadcast outlets and his research papers and books have been published by many prestigious journals and is on the editorial board of many international journals. He holds membership of The National Coalition of Independent Scholars (NCIS), United States of America. 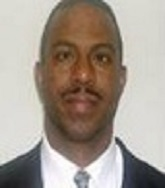 He has been trained at Alternative Dispute Resolution and a Certified HR business consultant practitioner. In addition to being a researcher, Dr.Parashram is looking forward towards the development of The Institute For Natural Resources, Kolhapur, of which he is the Founder and President. Presently he is working on few books which will be released shortly. He is presently residing in Pune. Dr. Yat Yen is a researcher at University of Science and Technology of China. Currently, he is a reviewing board member of the Journal of Precision Medicine and Public Health and a Peace Researcher for the Alliance for Conflict Transformation (ACT). He had served as a lecturer of Social Protection and Social Justice at National Institute of Social Affairs, Cambodia. He has more than ten years of experience in education at both public and private schools and institutes, three years of experience as an HIV/AIDS and STDs consultant with the community. Dr. Yat Yen is holding a Ph.D. of Public Administration. His research interests are in the fields of adult health, substance use, public health policy, urban health, and sustainable development. He has won several top awards and has published several scientific papers in top-tier international journals, including Habitat International, Sustainability, and Iranian Journal of Public Health. His research interests are in the fields of adult health, substance use, public health policy, urban health, and sustainable development. Dr.T.Theivasanthi, a research faculty from International Research Centre (IRC) of our Kalasalingam University had invented the world’s first super-paramagnetic particles of plant materials named, “Santhi Particles” – a remarkable benchmark in the nanotechnology research field. It helped her to achieve World Record and to get a prominent place in Limca Book of Records-2015.Some of her other inventions like lowest priced Graphene, Surface Enhanced Biomaterials like agricultural nanofertilisers (http://goo.gl/Lik15m , http://goo.gl/xqJc4N), vegetable powder for diabetes (http://goo.gl/LwSes1), nanomaterials made from Amaranthus for bio-sensors and Andrographis nanopowder for virus infections (EBOLA, DENGUE, HIV & H1N1) are mainly societal based.Based on the communication received from Prime Minister Office, the Dept.of Biotechnology initiating steps to develop her inventions related to nanobiotechnology for the benefits of public. Richard W.M. Visser DC, Ph.D.present workind as the CEO of VERA Health and Former Minister of Health and Sports. Bachelor of Science (B.S.) in Business Administration, St. Michael’s College, Vermont, U.S.A., 1984 – 1988 Premedical Program, University of Colorado, U.S.A., 1988 – 1989 Doctor of Chiropractic (D.C.), Palmer College of Chiropractic-West, Santa Clara, California, U.S.A., 1989 – 1993 Doctor in Medical Sciences, (PhD), Public Health National School, Havana, Cuba, Public Health Program His work has made vital contributions to a greater understanding of the biological, sociological, and psychological factors surrounding childhood obesity. Having written numerous articles on the subject for professional journals. Today Dr. Visser continues his innovative approach to healthcare by converging the exponential technological development going on right now with never before seen global connectivity. Richard Visser has focused on the pandemic of childhood obesity among various populations, working in consultation with other international experts. He studied the problem and implemented solutions from many perspectives: as a clinical researcher, academic and educator, activist and politician, entrepreneur, concerned citizen and parent. His work has made vital contributions to a greater understanding of the biological, sociological, and psychological factors surrounding childhood obesity. Dr. Shaodong Guo is Associate Professor in the Department of Nutrition and Food Science at Texas A&M University College. He received his Ph.D in Physiology from Peking University, China. Then he completed his postdoctoral research training in Genetics, Biochemistry, and Medicine in the Chinese Academy of Sciences, the University of Illinois at Chicago, and Harvard University, respectively. Dr. Guo was an Instructor in Medicine at Children's Hospital Boston and Harvard Medical School for two years prior to joining the faculty at Texas A&M Health Science Center. Currently, Dr. Guo serves as senior editor for the Journal of Endocrinology and Journal of Molecular Endocrinology, two major official journals of Endocrine Society of Europe, UK, and Australia, and he is the textbook chapter writer for Metabolic Syndrome edited by Rexford Ahima and published by Springer in 2016. Dr. Guo lab research focuses on insulin/glucagon and estrogen signal transduction, insulin resistance, gene transcriptional control of nutrient homeostasis, and cardiac dysfunction in diabetes. Dr. Guo has been working on the gene transcriptional regulation of metabolic homeostasis by insulin receptor substrate proteins (IRS) and Forkhead FoxO transcription factors and he has been funded by American Diabetes Association (ADA), American Heart Association, and the National Institute of Health of USA. He is a recipient of ADA junior faculty award, career development award, and Richard R. Lee Award. His work has been published in a number of journals including the JBC, Endocrinology, Hypertension, Diabetes, Circulation Research, AJP, MCB, and Nature Medicine, receiving more than 5,000 citations from the Google Scholar. Food and Dairy Microbiology , Functional Foods , Functional Dairy Products ,Probiotics ,Propionic acid bacteria ,Pathogenic bacteria in foods and dairy products. Prof. Ehud Goldhammer has his expertise in exercise physiology and cardiac rehabilitation, obesity, metabolic syndrome, and and heart failure patient's rehabilitation in particular. His passion in improving the health and wellbeing of coronary artery patients led him to establish (1982) the first cardiac rehabilitation center in the northern part of Israel, encouraging women, elderly, old people, and minorities to join cardiac rehabilitation programs. Since the establishment of this center he tried to promote exercise programs for obese, diabetic, hypertensive, and heart failure patients. Most of his research projects were done in exercise physiology, in the various subsets of coronary artery disease patients (diabetics, obese, hypertensive, and heart failure patients). Dr. Govind Kulkarni is M.D in Internal medicine from India 1995-96. He completed cardiology research fellowship at Sydney University in 1996-97. He is founder of Pulse diabetes obesity and cardiac relief centre, Pune India. He is having interest in clinical research. He was principal investigator /co investigator of multiple diabetic and cardiac drug trials. He was co investigator for multiple new oral anti diabetic drugs. He is running obesity reduction program in Pune. His special interest is in reversal of diabetes and obesity. He is senior consulting physician and metabolic disorder consultant in MAJOR HOSPITALS PUNE, MAHARASHTRA, INDIA. He was principal investigator /co investigator of multiple diabetic and cardiac drug trials like ENGAGE AF FOR NEW ORAL ANTICOAGULANTS and other FOURIER STUDY for new lipid lowering injectable drug PCSK9 INHIBITORS. Dr. Shaodong Guo is Associate Professor in the Department of Nutrition and Food Science at Texas A&M University College. He received his Ph.D in Physiology from Peking University, China. Then he completed his postdoctoral research training in Genetics, Biochemistry, and Medicine in the Chinese Academy of Sciences, the University of Illinois at Chicago, and Harvard University, respectively. Dr. Guo was an Instructor in Medicine at Children's Hospital Boston and Harvard Medical School for two years prior to joining the faculty at Texas A&M Health Science Center. Currently, Dr. Guo serves as senior editor for the Journal of Endocrinology and Journal of Molecular Endocrinology, two major official journals of Endocrine Society of Europe, UK, and Australia, and he is the textbook chapter writer for Metabolic Syndrome edited by Rexford Ahima and published by Springer in 2016. He is a recipient of ADA junior faculty award, career development award, and Richard R. Lee Award. His work has been published in a number of journals including the JBC, Endocrinology, Hypertension, Diabetes, Circulation Research, AJP, MCB, and Nature Medicine, receiving more than 5,000 citations from the Google Scholar. His research focuses on insulin/glucagon and estrogen signal transduction, insulin resistance, gene transcriptional control of nutrient homeostasis, and cardiac dysfunction in diabetes. Dr. Guo has been working on the gene transcriptional regulation of metabolic homeostasis by insulin receptor substrate proteins (IRS) and Forkhead FoxO transcription factors and he has been funded by American Diabetes Association (ADA), American Heart Association, and the National Institute of Health of USA. Dr Moy teaches Research Methodology, Clinical Epidemiology & Evidence-Based Medicine to both undergraduate and postgraduate candidates. Her research interests include Translational Research in the prevention of non-communicable diseases (NCDs) in the community setting, Workplace Wellness and the effects of lifestyle behaviours on NCDs. She has generated research grants amounting to more than RM3 million. She published more than 80 manuscripts in peer review journals. She initiated and established the University of Malaya Wellness Program in 2008 and coordinated the program until 2013. She is a member of the editorial board of the Malaysian Journal of Nutrition. She also reviews manuscripts for both local and international journals. Foong Ming Moy research interests include Translational Research / Trials in the prevention of non-communicable diseases in the community setting, Workplace Wellness and the effects of lifestyle behaviors on non-communicable diseases. Currently, she heads a cohort study comprising of almost 15,000 teachers from the Peninsular Malaysia. Muhammad A Jawad is a board certifi ed through the American Board of Surgery and serves as the Medical Director of Orlando Regional Medical Center’s Bariatric Program. He has been an expert in Laparoscopic Surgery since 1989, where he has been performing complicated biliary, colon and endocrine surgery. He has performed more than 4,000 laparoscopic bariatric surgical cases since 2000, safely and with great success. He specializes in the laparoscopic gastric bypass, the adjustable Lap- Band, and sleeve gastrectomy procedures. 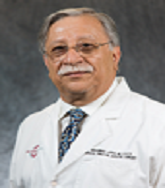 He has presented more than 45 presentations both nationally and internationally on laparoscopic and bariatric surgery. Damien Byas is serving as an Associate Faculty member in a Master of Public Health (MPH) Program. He is currently working as a senior research fellow for the Centre for Organizational Research in Chicago, IL. 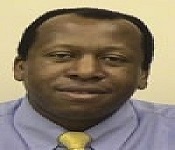 He is currently serving as an Associate Faculty Member in a Master of Public Health (MPH) Program. He is the president of the North American Scientific Committee on Cardiovascular Health, a part-time Public Health Researcher, Senior Research Fellow, and an adjunct Professor for an MPH program. He has done his PhD in University of New Mexico and he is expertise in Global Health Research Epidemiology Biostatistics Quantitative Research. Global Health Research Epidemiology Biostatistics Quantitative Research. 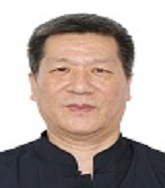 Shougang Wei serves as Professor, PhD supervisor and Deputy Director in Department of Children’s and Women’s Health, School of Public Health, Capital Medical University, Peking, China. He has been engaged in the study of child and adolescent health, mainly focused on the field of childhood obesity about its health risks, pathogenic factors, and preventive and treatment measures. 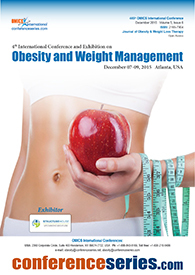 Childhood obesity about its health risks, pathogenic factors, and preventive and treatment measures. Professor Kaj Winther was earlier deeply involved in cardiovascular research and medicine with special reference to thrombosis and haemostasis and worked for a period at the Harvard Medical School, Boston, on the topic “Circadian variation in Myocardial Infraction”. Later in his career he more and more focused on development and clinical testing of herbal remedies and different versions of new foods. His interest in food and herbal remedies is also based on the fact that much prescription medicine including the non-steroidal anti-inflammatory drugs (NSAID`s) are blamed for serious side effects. As many of our top athletes and more and more of the average population trying to get into a “better shape” is abusing NSAID`s, more attention should be drawn to develop new “pain-killers” without serious side effects. Here some food supplements, herbal remedies and some new foods, might be interesting to future develop – replies Kaj Winther. 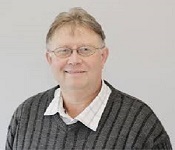 Medical doctor specialised in Public Health, PhD in biostatistics and Pharm D, Pr Francois-André Allaert is strongly involved in the field of medical evaluation and especially in the evaluation of health claim. He is managing a human clinical center specifically approved by French health authorities for food supplement and enriched food evaluation. He is also managing the chair for health claim medical evaluation at the burgundy university of Dijon. He is authors of more than 1500 scientific oral communications and publications among which 210 are pubmed referred. Christine Brombach is since 2009 lecturer at the Institute of Food and Beverage Innovation at Zurich University of Applied Sciences, Switzerland. She received a degree in home economics and nutrition from the University of Giessen, Germany and a Master of Science in Nutrition with a major in gerontology from Manhattan, KS, USA. 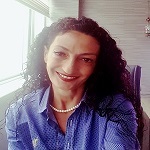 She did her PhD at the University of Giessen, Germany on the topic of “eating behaviour in the life course of women over the age of 65 years”. She was project coordinator of the Nutrition Survey II at the Max Rubner Institute, Karlsruhe in Germany before she moved with her family to Switzerland. Hildegardes C. Dineros is a pioneer and leader in the field of Bariatric and Metabolic Surgery in the Philippines. He has been invited to speak and present his work both in the local and international community. His areas of expertise include Laparoscopic Bariatric Surgery, Laparoscopic Metabolic Surgery (treatment for Type 2 Diabetes), Advanced Laparoscopic Gastrointestinal Surgery, Aesthetic and Plastic Surgery, and Complex Wound Care. He takes care of both foreign and local patients and he has the most number of advanced bariatric surgery procedures in the country with remarkable success. Dr. Dineros is a Fellow of the American Society for Metabolic and Bariatric Surgery (ASMBS), Regular Member of the International Federation for the Surgery of Obesity (IFSO), and a Fellow of the American College of Surgeons (FACS), International College of Surgeons (FICS), Philippine College of Surgeons (FPCS), Endoscopic and Laparoscopic Society of Asia (ELSA) and Philippine Association of Laparoscopic and Endoscopic Surgeons (PALES). Lynn Ge-Zerbe is a recipient of the Leading Physician of the World and Pinnacle Professional of The Year 2017 award. She is board certified in Endocrinology and Internal Medicine, the owner of Boise Thyroid & Endocrinology PC - a concierge endocrinology and weight loss practice, the principle investigator at Advanced Clinical Research, a consultant endocrinologist with RubiconMD and Video Medicine,. She earned her MD at PUMC, MPH of Epidemiology at University of Pittsburgh. post-doctoral fellowship in Molecular Medicine at NIH, residency in internal medicine at Leigh Valley Hospital / Penn State University, fellowship in Endocrinology at Vanderbilt University as well as Age Management certification by AMMEF. Dr Ge-Zerbe is passionate about “combine east and west medicine to cure and prevent endocrinology disorders." Dr. Li Li is an assistant professor at the University of Alabama School of Medicine in the U.S.A. Her research focuses on insulin resistance, pre-diabetes and obesity in individuals with major depressive disorder and child abuse, and more generally, individuals with comorbid mental illness and metabolic syndrome. She currently holds a K23 career development award from the National Institute Health to support her research. Her other ongoing projects include investigating the relationship between inflammation and child abuse in individuals with depression, and using exercise as an interventional approach to manage depression and metabolic syndrome. In addition to her practice and research, Dr. Li also directs the Evidence-based medicine and Mechanisms in Psychiatry curriculum, and administers the research programs for residents. S Chhabra is a Director Professor of Obstetrics and Gynecology in the College of Mahatma Gandhi Institute of Medical Sciences, India and CEO of Akanksha Shishu Kalyan Kendra and OSD in Dr. Sushila Nayar Hospital, Sewagram. 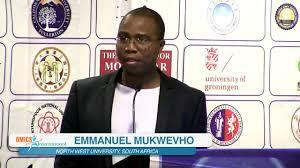 Emmanuel Mukwevho is a Professor of Biochemistry at the School of Chemical and Physical Sciences at the NWU, South Africa. He has completed his PhD from University of Cape Town, South Africa. He has also obtained certificates in Project Management and in Financial Management from UCT. Presently, he has registered for MBA with NWU Graduate Business School.